Tartan Fairytales : Fave Lipsticks. One thing my mum can always be found doing right before we leave the house, is applying some lippy. Lately I've been the same! I never used to wear lipstick at all, I'd throw on the odd lip balm with a tint on, every now and again. But now I find myself applying it almost daily! 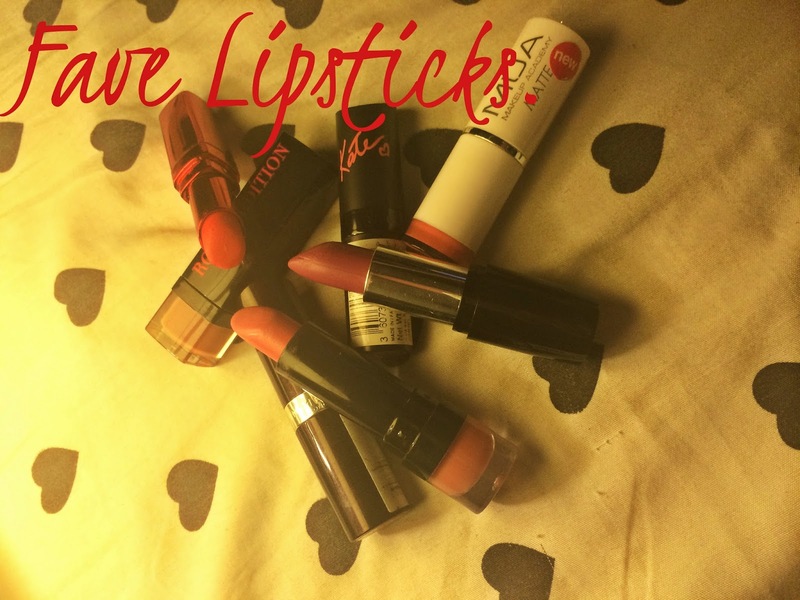 So what would be more fitting, than a post on my favourite lipsticks! I had planned on doing pics of each one on my lips, but the pictures were not cute at all so I'll save you all from seeing them. 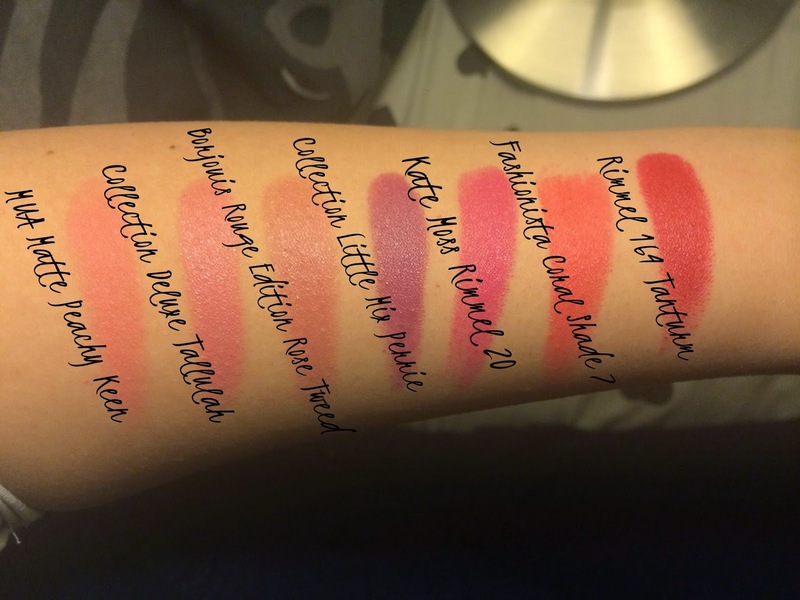 I just swatched them on my arm, so you can see the colours and finishes of them! So these are my current favourites, and I always find myself perusing all the lipsticks in the make up aisle so will no doubt have more to add to my collection soon enough. I feel like I need more red lippies in my life! I really want to check out Loreal's Pure Red collection! Blake's Red is calling my name, and for £6.99 you can't pass that up! 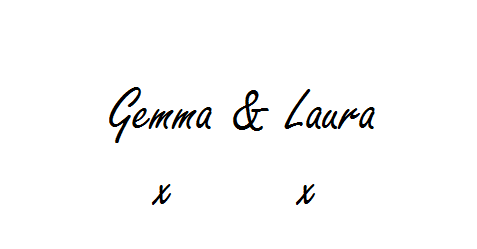 I have a slight feeling I will be buying more than one from the collection, using the excuse "oh it's for the blog!" which will totally justify it! Ha. What is your favourite lipstick?! The Collection lipstick is such a nice purple! Definitely checking that one out when I next go into town! And Blake's lipstick is calling me as well, I love her in Gossip Girl, Accepted and Hick and really would love a lipstick dedicated to her!